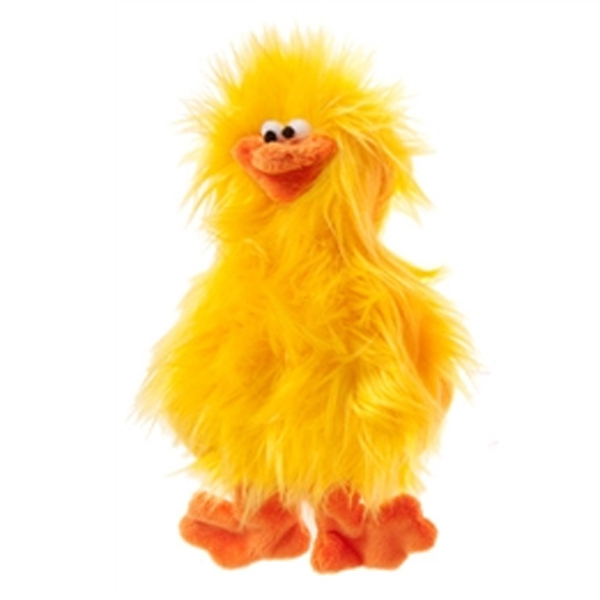 Whether your dog is a spring chicken or has been around the block, this adorable stuffed, squeaky dog toys will surely make your dog feel like a puppy again. Spring Chicken Dog Toys are made with a long-lasting squeaker, 100% recycled poly-fill and were designed to entertain your pooch for hours! Don't let the soft, furry fabric fool you - this is one strong fabric dog toy! Available in three bright colors, Turquoise, Lemon and Hot Pink (each sold separately). Made in the USA. Spring Chicken Dog Toy - Lemon Customer Photos - Send us your photo! Posted On 11/08/15 by Betty B from , NY Yes, Betty B recommends this product! I recently bought a Lemon (Yellow-Orange) Spring Chicken Dog Toy for my dog. She had a former toy chicken who was getting a tear in his neck due to her chewing and shaking it. This toy from Baxterboo.com is really well made. Looks more real, and the feathers do not come out. What she really likes is how it squeaks as she bites it, She will play with it for an hour at a time it seems! Thumbs up to another great product I bought. Shipping is quick, this is my 3rd or 4th purchase for my dog, and I have been pleased with all items! Cool site! Can't wait to get the product!